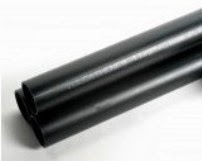 Why Should You Choose Plastic Vulcathene Pipes Over Metal Pipework Systems? When it comes to choosing a pipework system there are a lot of different factors you need to take into account. Not only do you need a system which is cost effective and efficient, but you have to choose the material of the pipes with care. Many would argue that this is your most important decision because it impacts everything else – from the cost to the lifespan of your pipework. The two main choices you have at your disposal are metal and plastic. Bearing that in mind, read on to discover why you should opt for plastic Vulcathene pipes instead of the metal pipework systems. There is only one place to begin and this is with the massive cost savings you can expect to make if you go for plastic pipes. There are many different reasons why plastic is cheaper. Firstly, it costs less to produce. Nonetheless, you also save when it comes to the installation of the pipes and the life cycle costs as well. In relation to installation, you need to consider the fact that plastic is lightweight and therefore it is a lot easier to deal with. Moreover, as you will soon discover, plastic boasts an extremely long life span. Because of this you are going to save when it comes to costs relating to repairs and replacement. On the whole, this is a much cheaper system. Nevertheless, what plastic systems lack in cost they certainly do not lack in quality. In addition to the cost savings you will make, another benefit is the fact that plastic is extremely flexible. Plastic pipework systems can be used for a wealth of different applications. From agricultural irrigation systems, to drinking systems, to chemical systems; the list truly is endless. The benefits of a plastic pipework system can be felt by all. One of the main reasons why plastic is better than metal is because it is resistant to corrosion and chemicals. Metal is a material that is assured to rust and corrode over time. This is going to result in leaks which will then result in costly repairs and a lot of hassle on your part. This can be extremely detrimental in drinking water systems because traces of metal will end up in the water. However, if you opt for a plastic pipework system you do not have to worry about any of this. Plastic is resistant to it all and because of this you are going to benefit from a system that will last you a lot longer and cost you a lot less as well. Last but not least we end on a point that is close to the hearts of many companies in the current day and age; the environment. It is imperative to act as green as possible nowadays. Businesses have a duty to uphold this responsibility. Plastic Vulcathene pipes instead of the metal pipework systems are the more environmentally friendly option for a wealth of different reasons. They act as a great insulator when it comes to het loss in hot water supplies. They also have a low thermal conductivity. This means that, when compared with metal, they do not conduct heat as easily. All in all, plastic pipe work systems reduce the user’s need to use as much energy. This saves the user money and helps to make the planet a better place. Do You Search for Green Flooring Option?